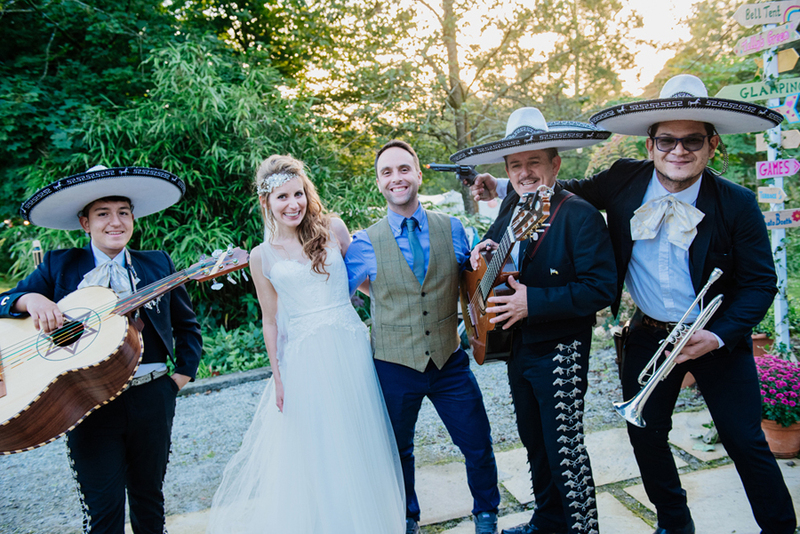 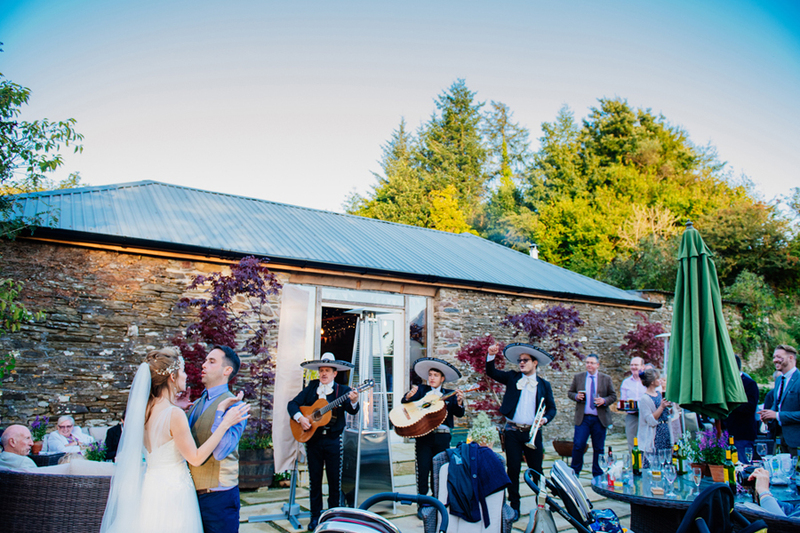 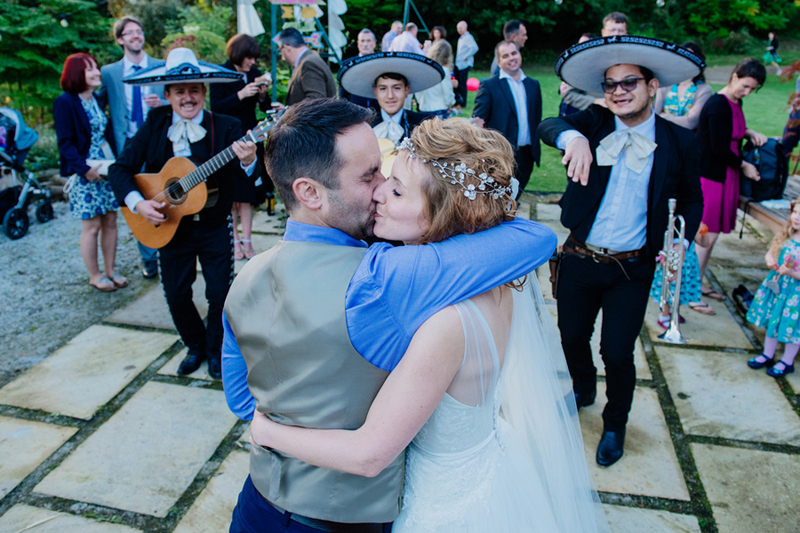 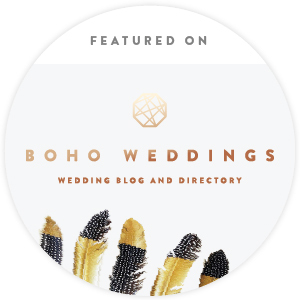 Boho Wedding Photography Devon with a Mariachi Band! 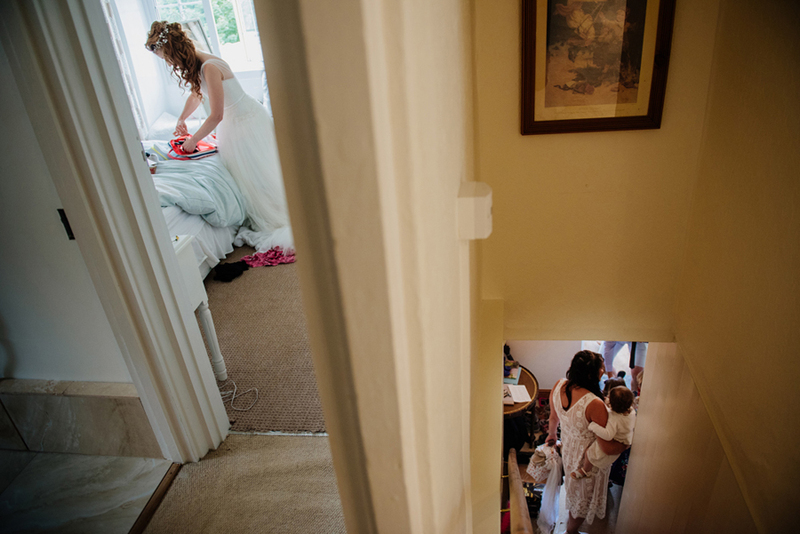 Oh man, I had been looking forward to this Devon wedding for a long time! 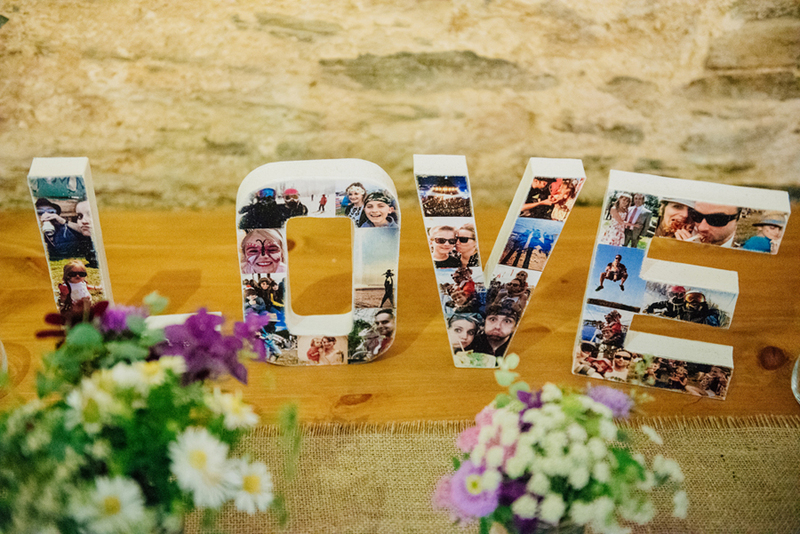 I love all the ideas this one had, the way it flowed so naturally with grace and with lots of fun! 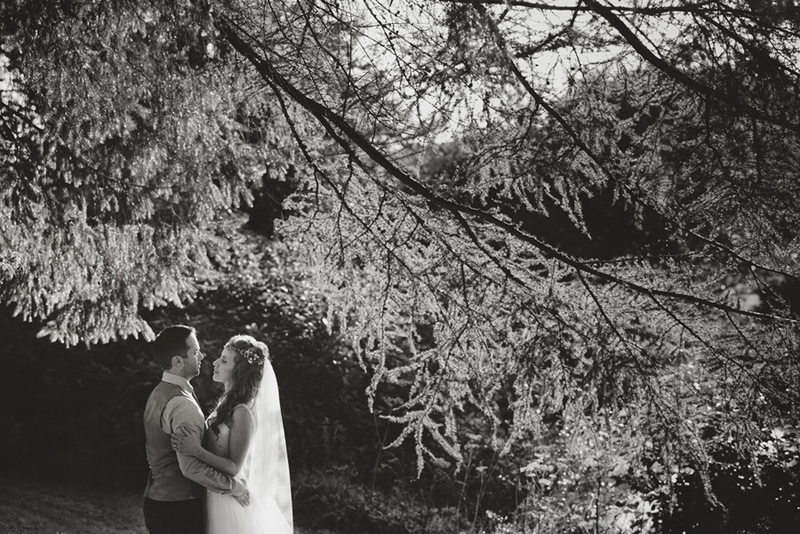 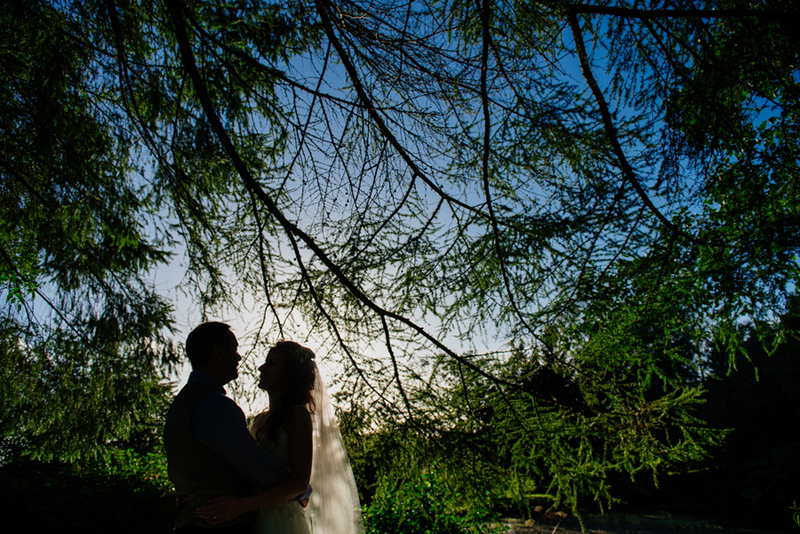 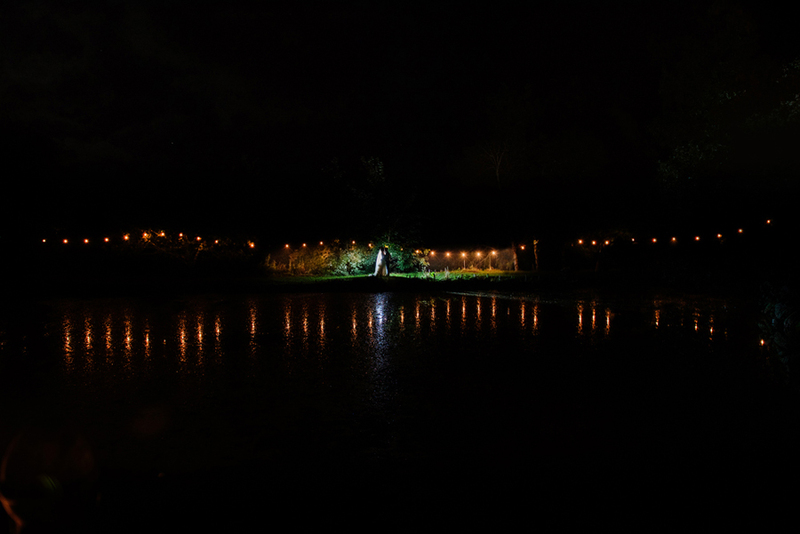 The bride and groom got married amongst the trees, by the lake. 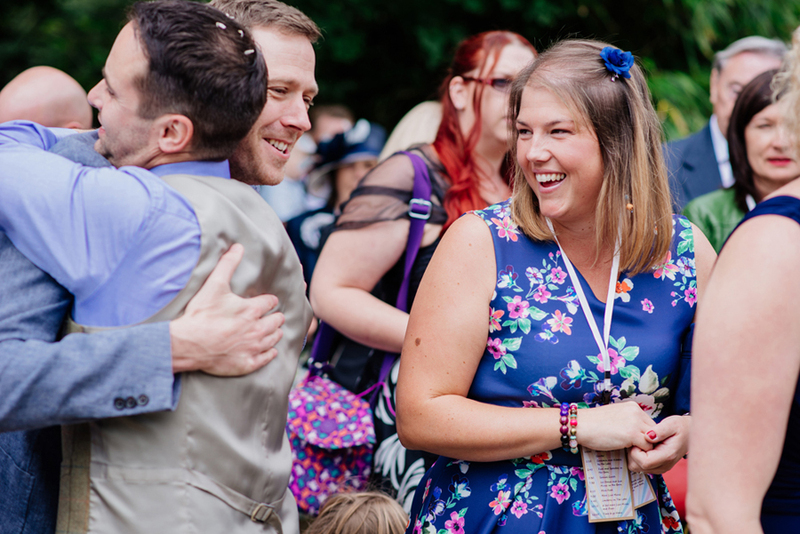 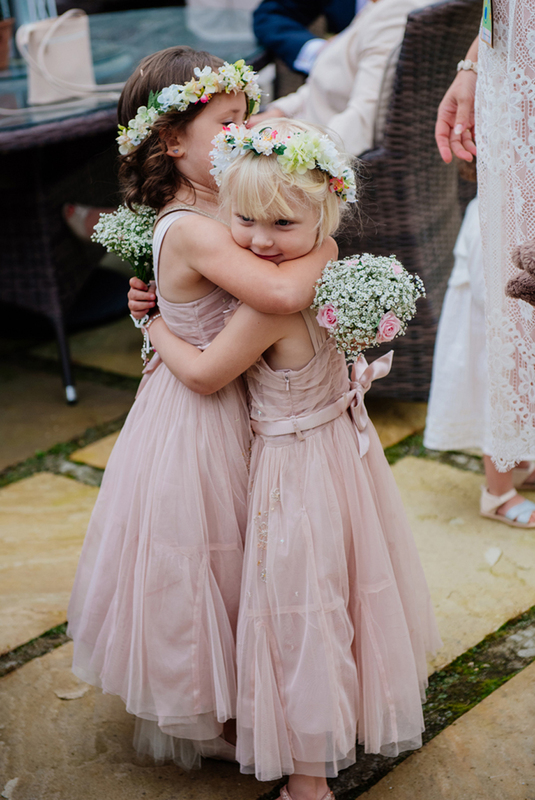 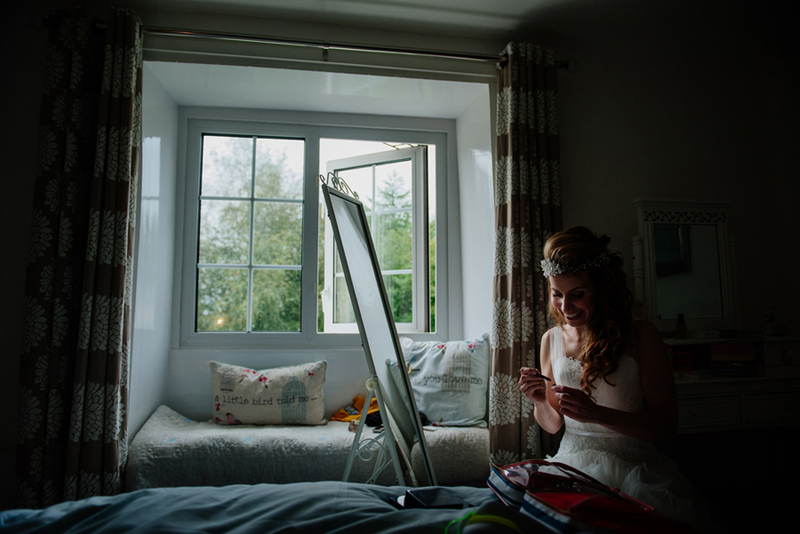 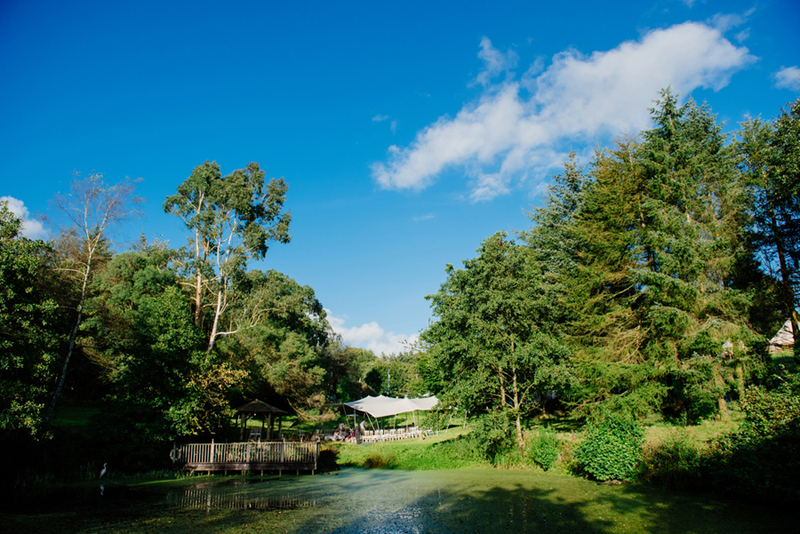 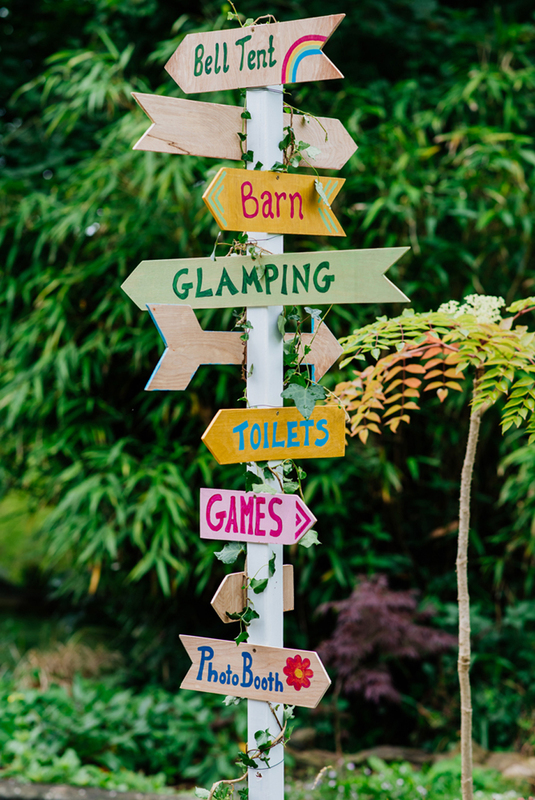 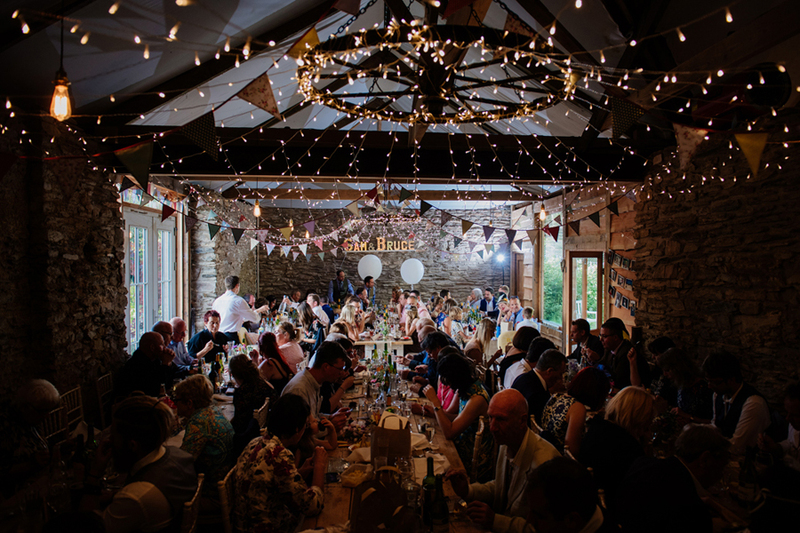 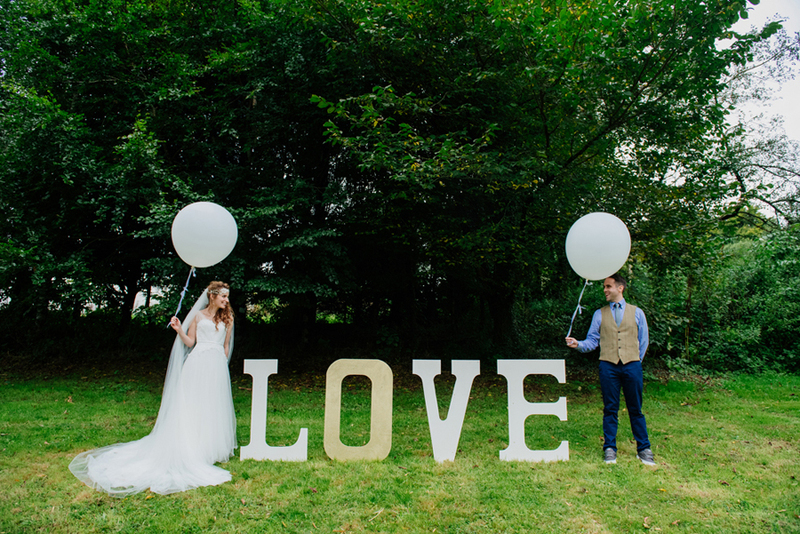 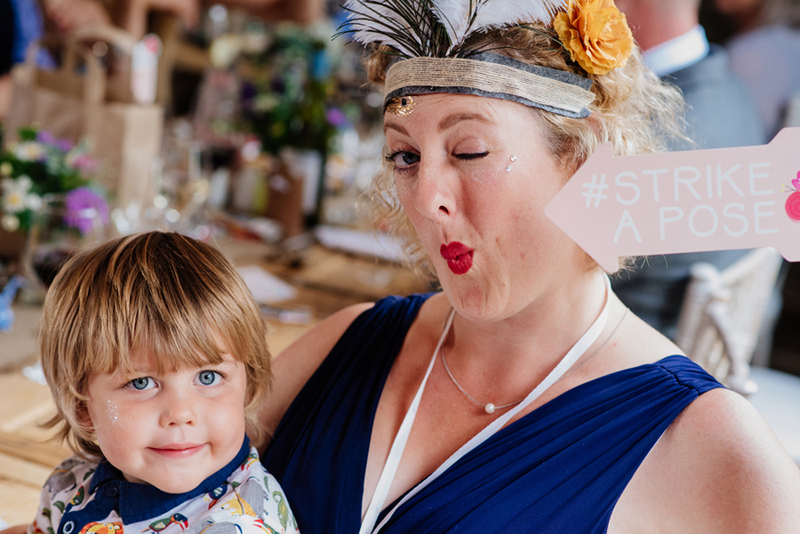 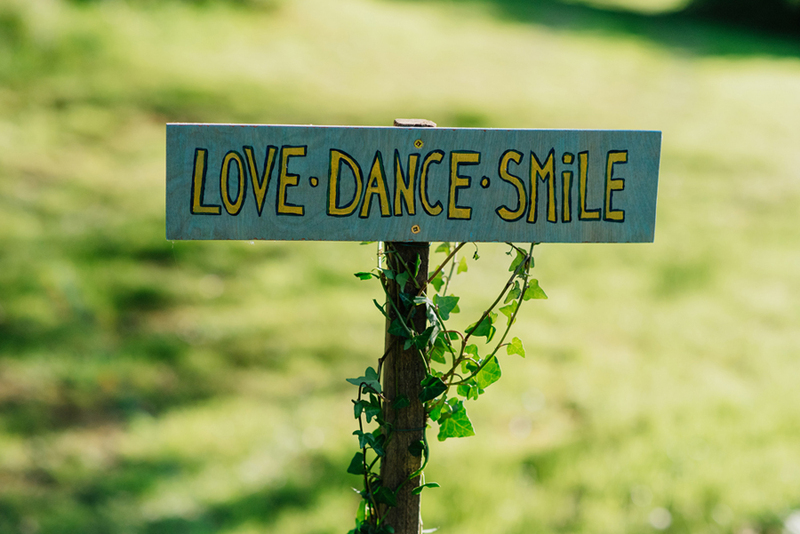 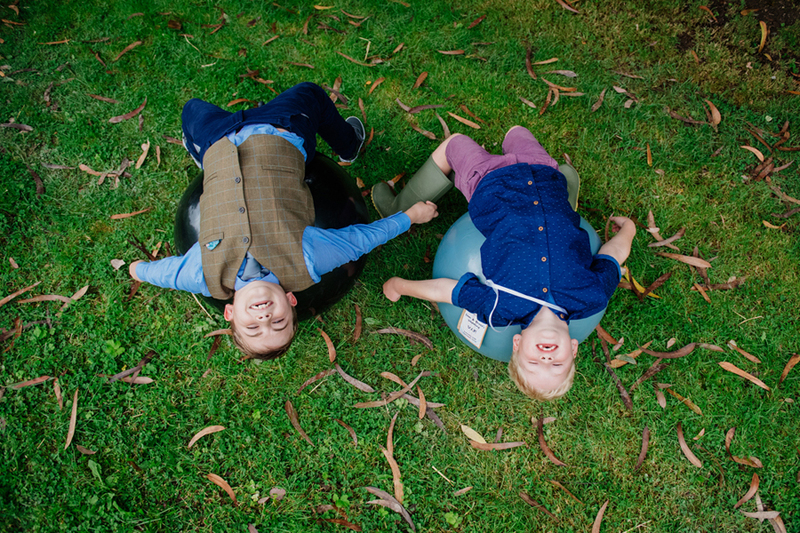 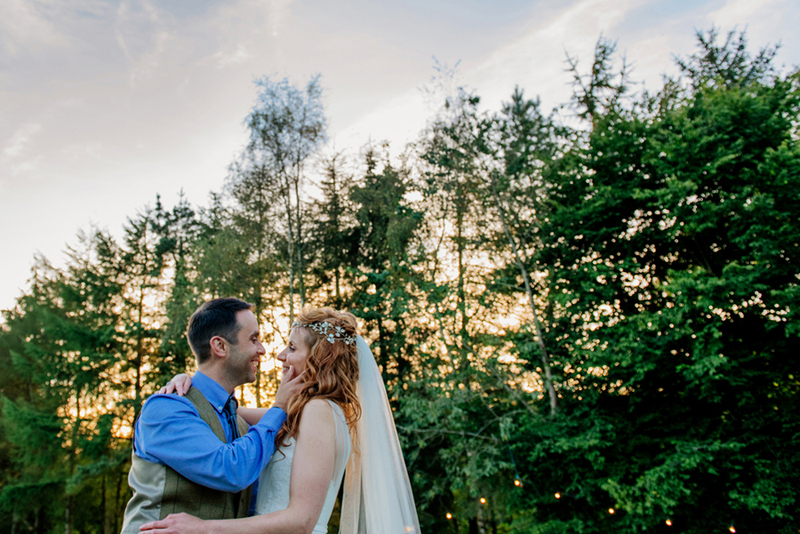 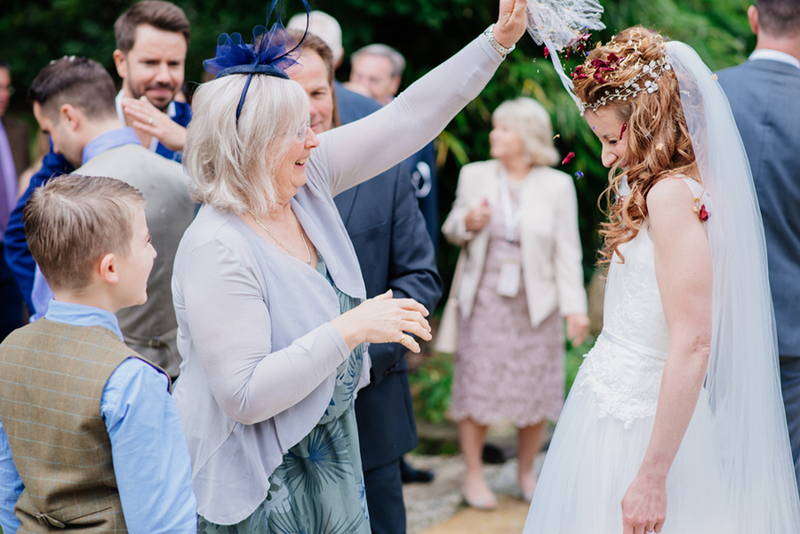 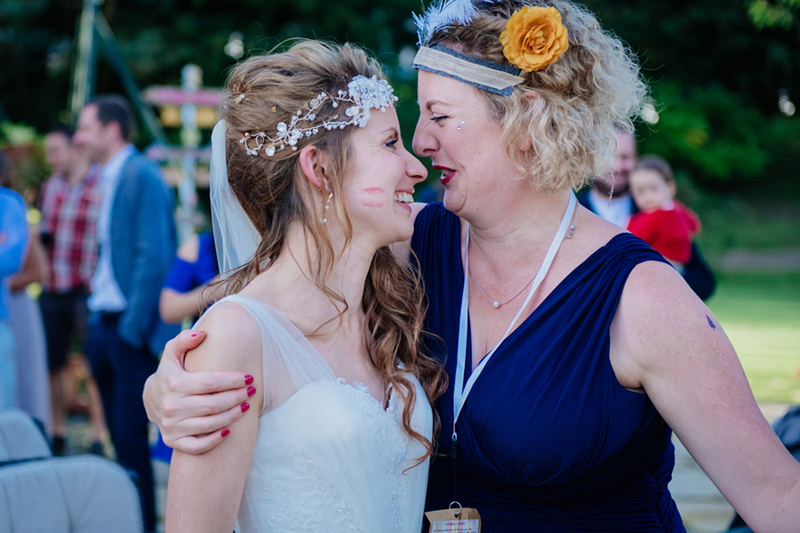 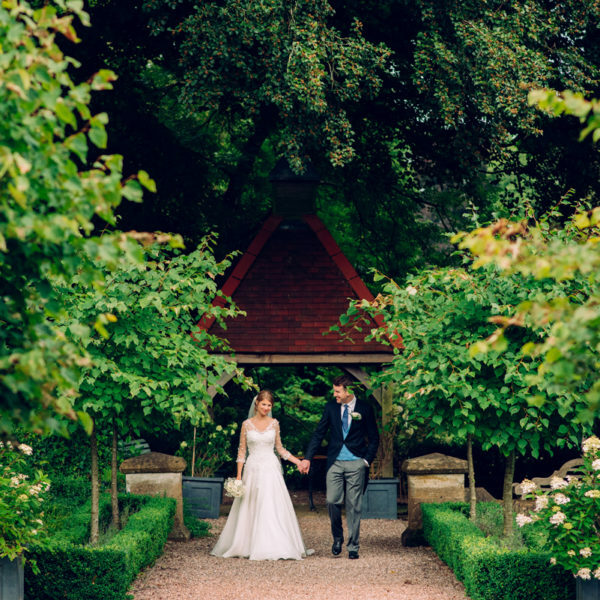 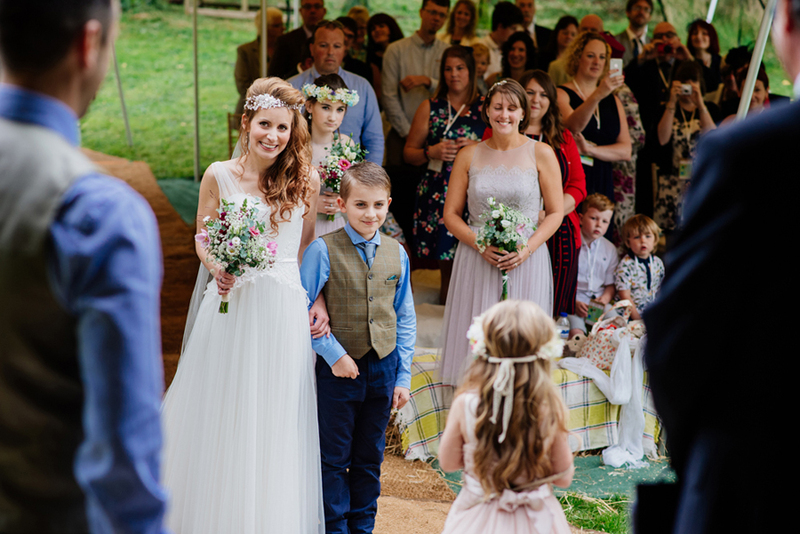 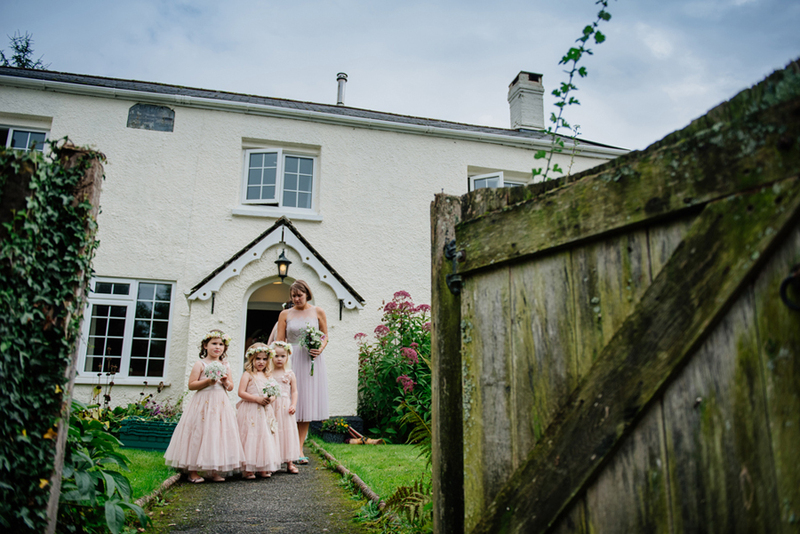 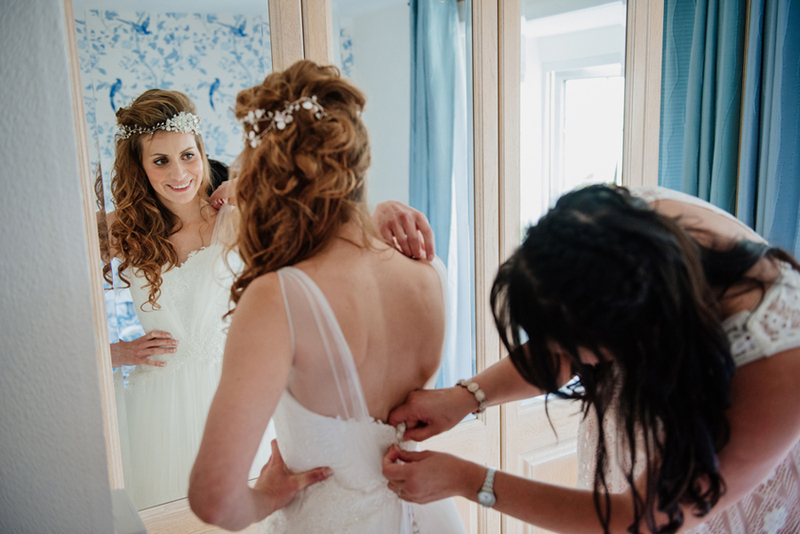 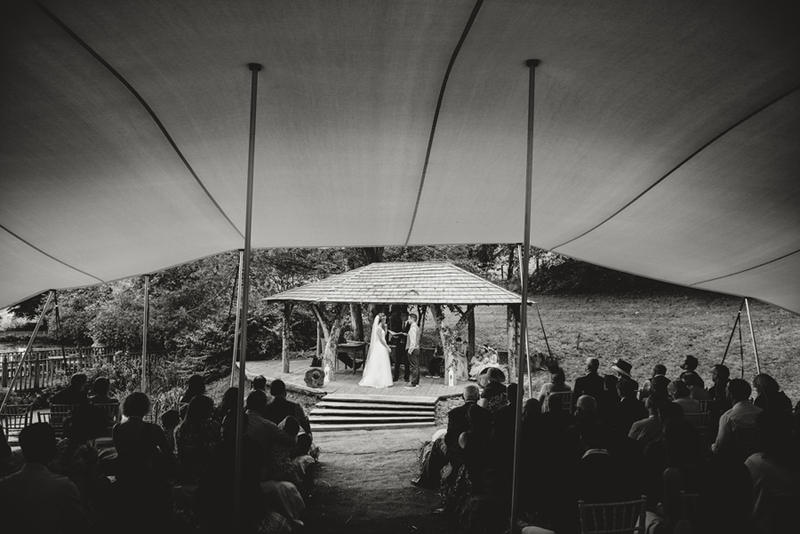 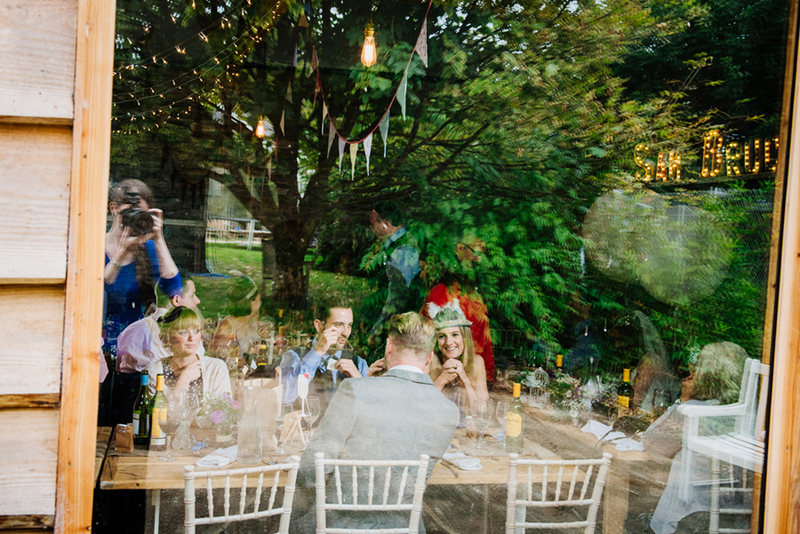 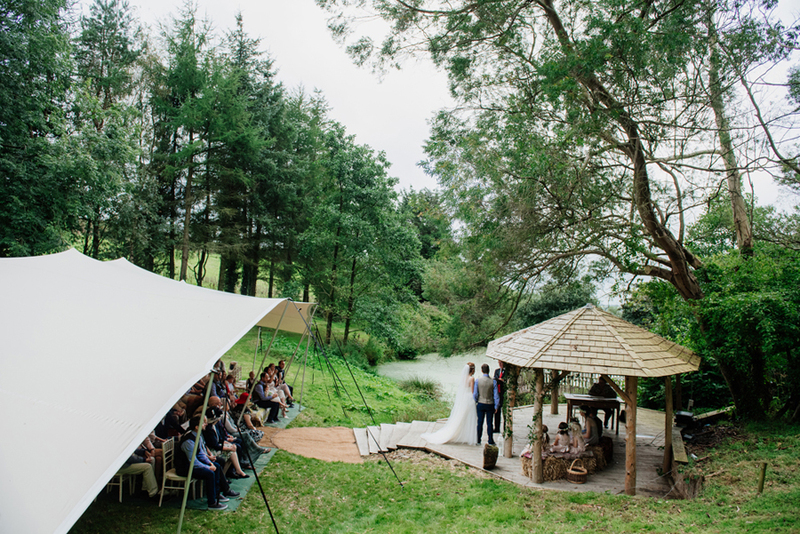 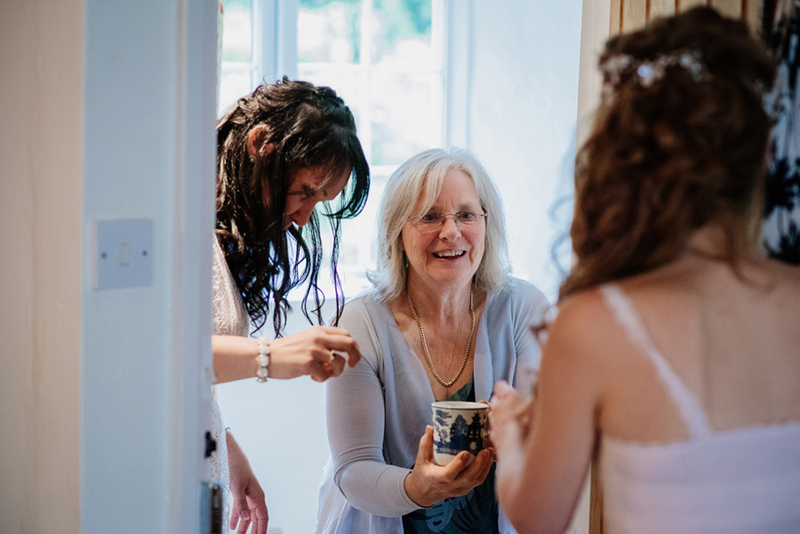 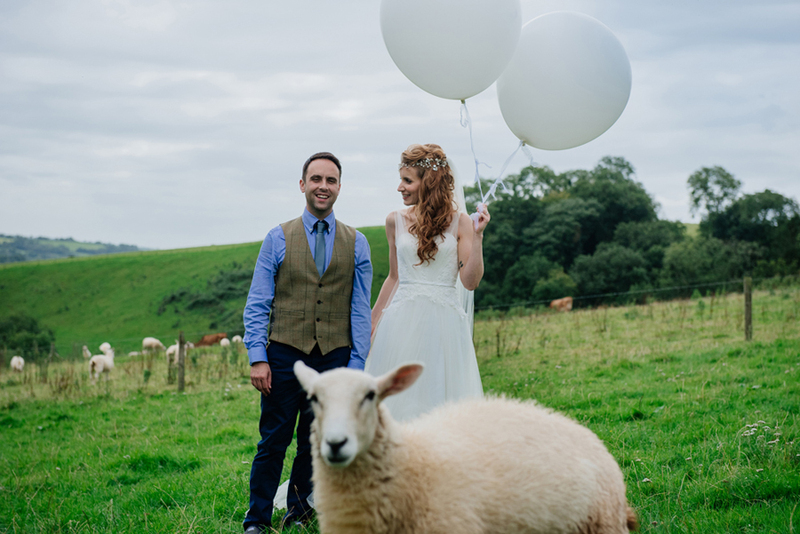 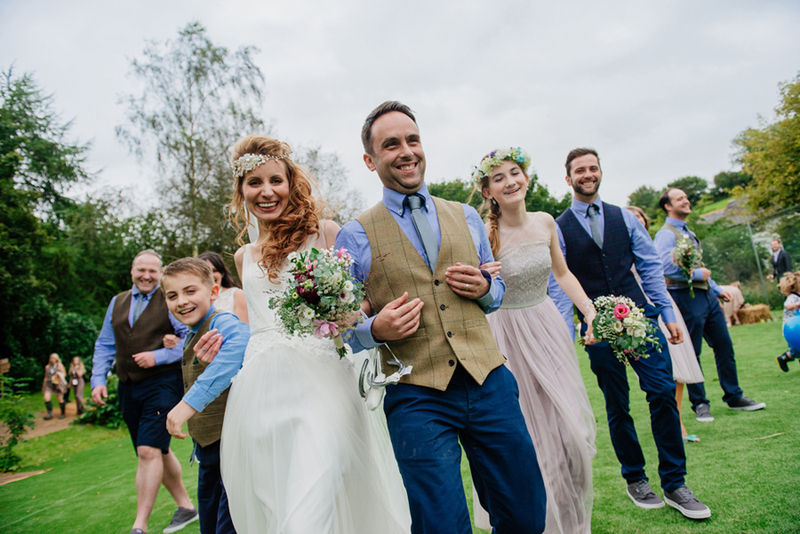 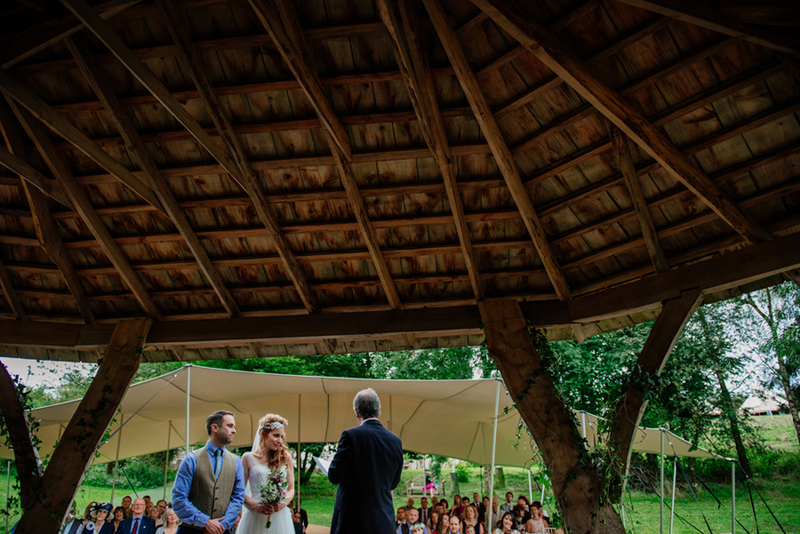 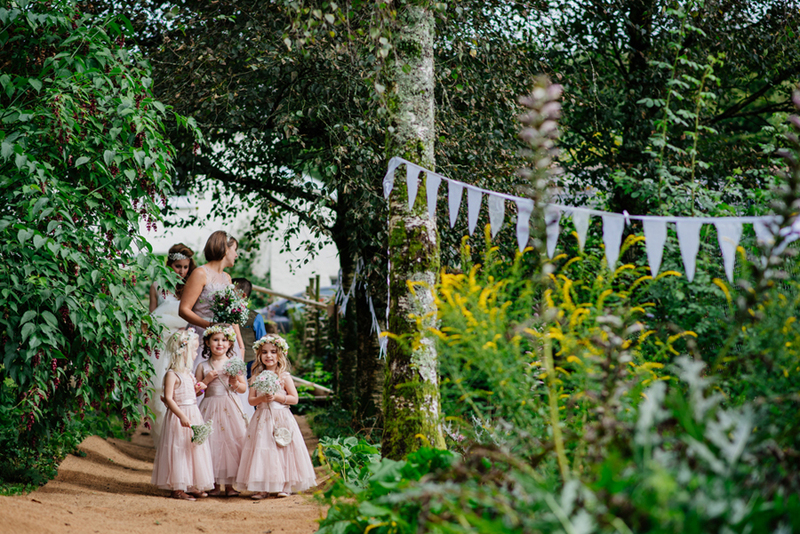 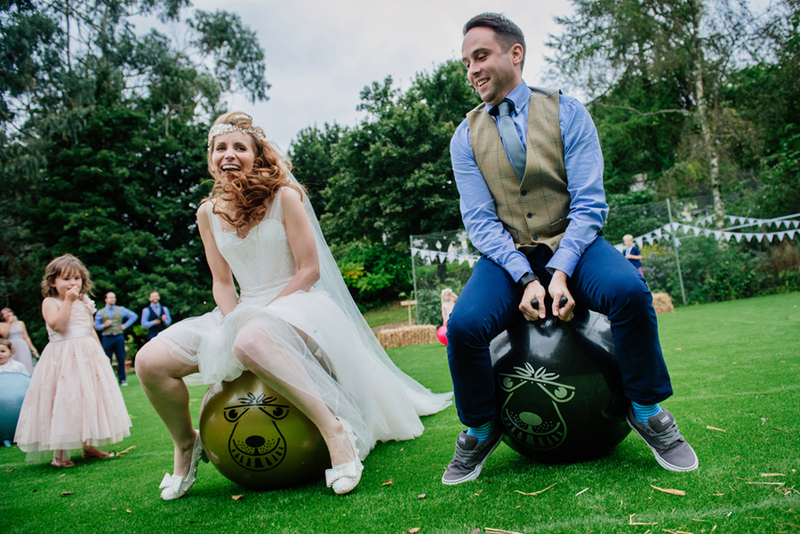 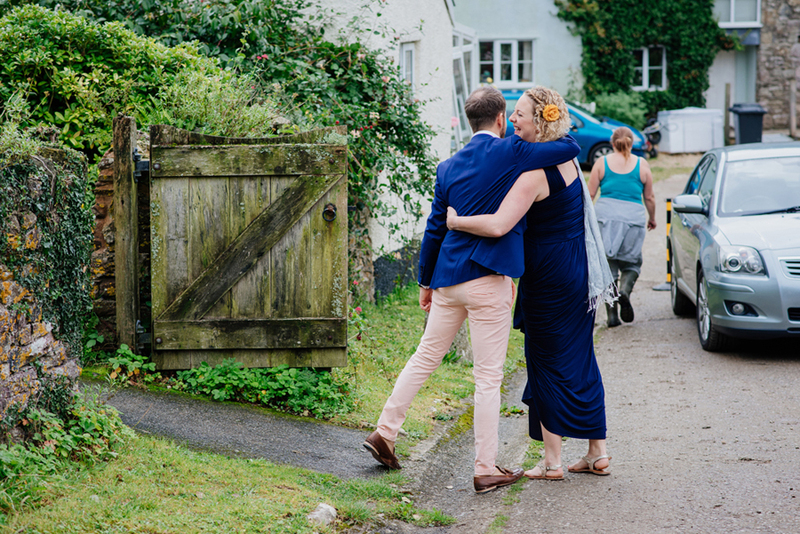 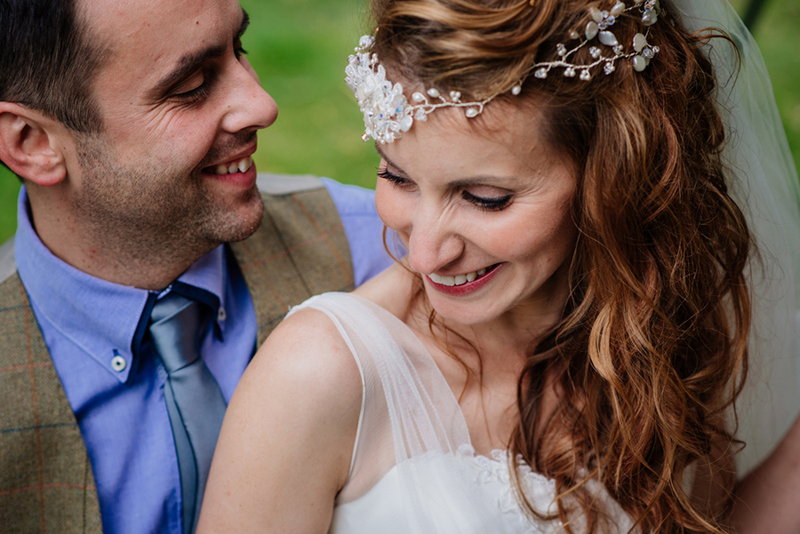 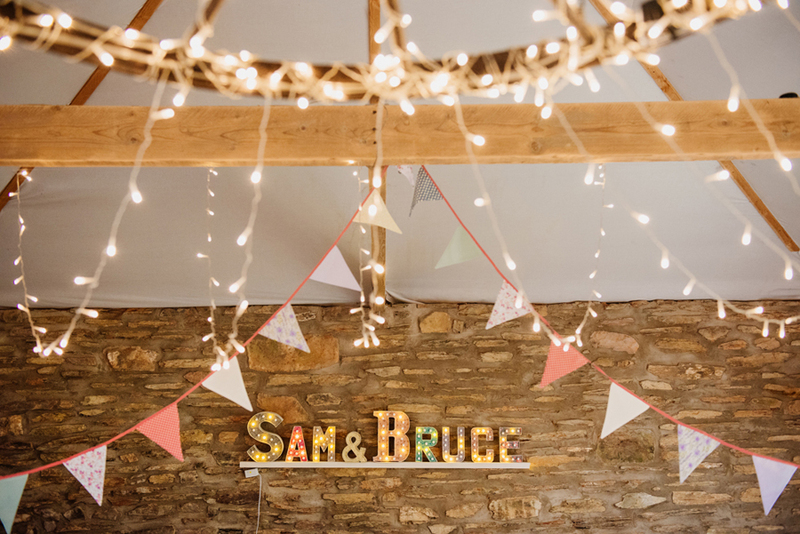 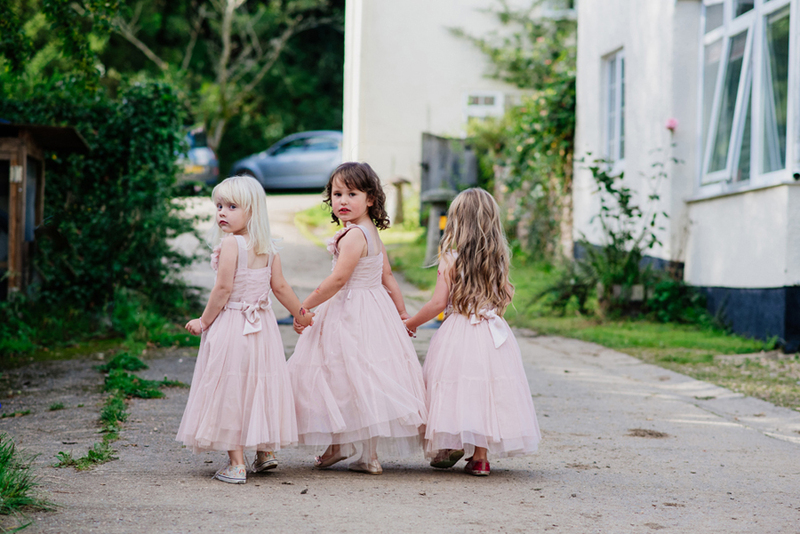 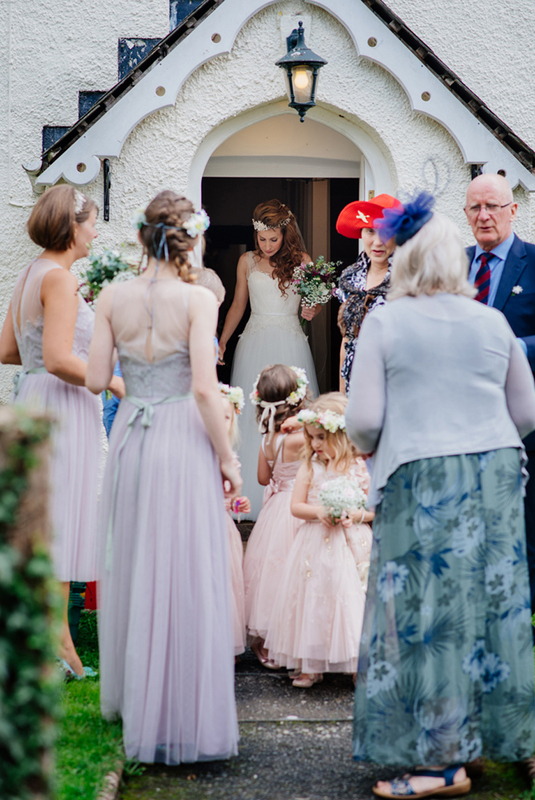 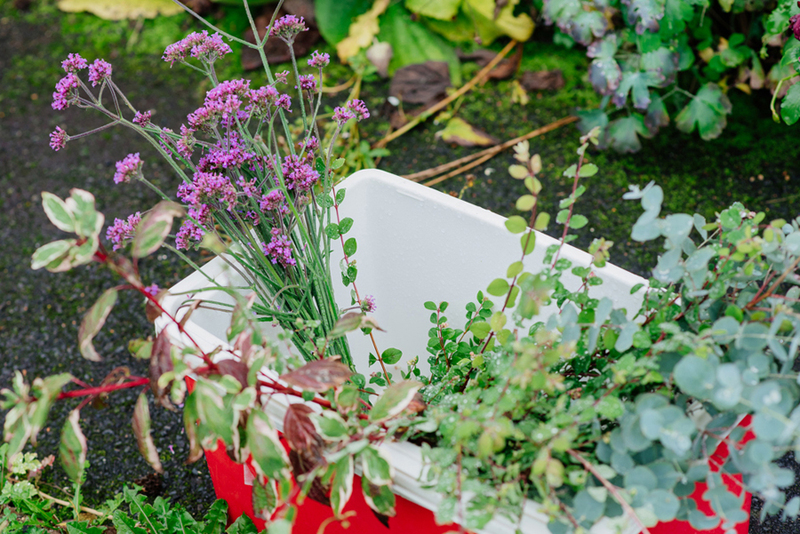 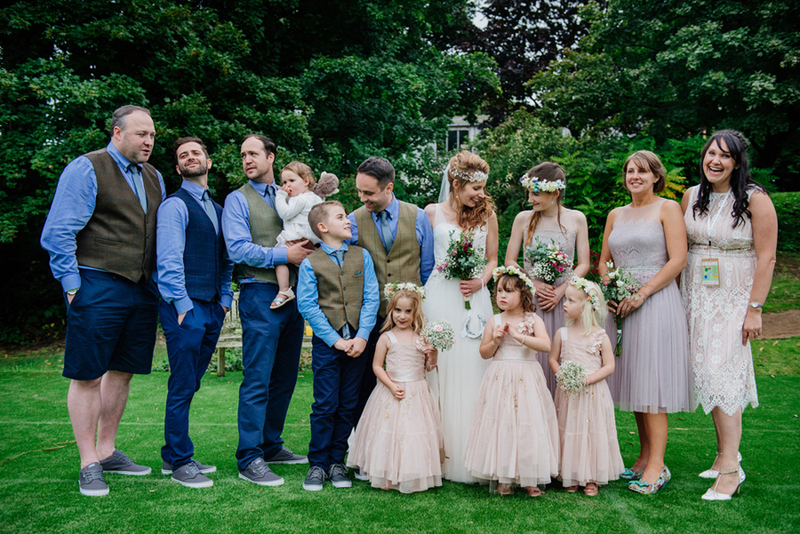 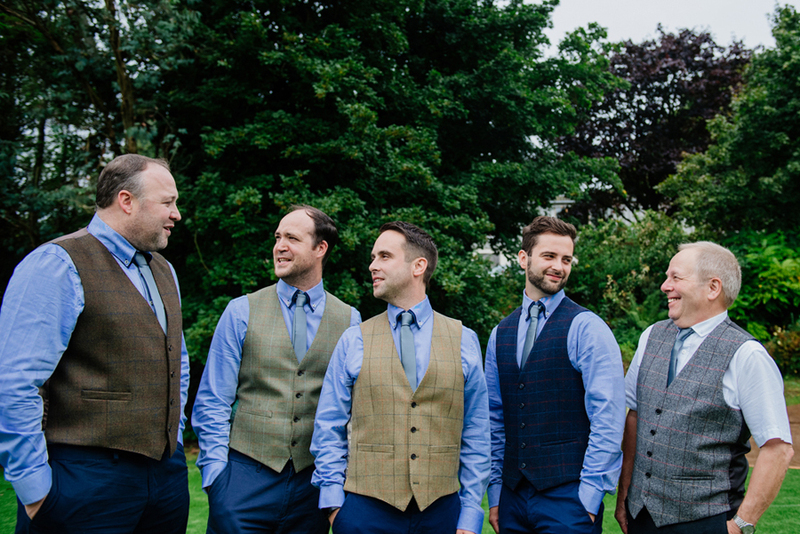 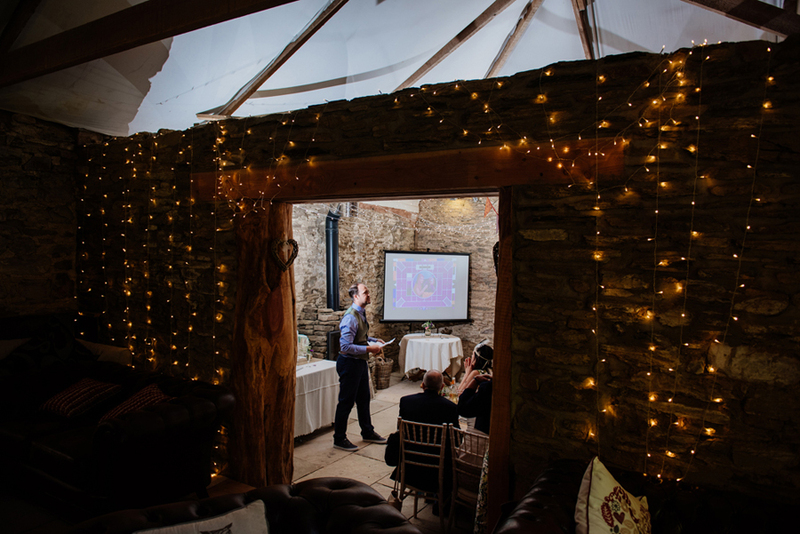 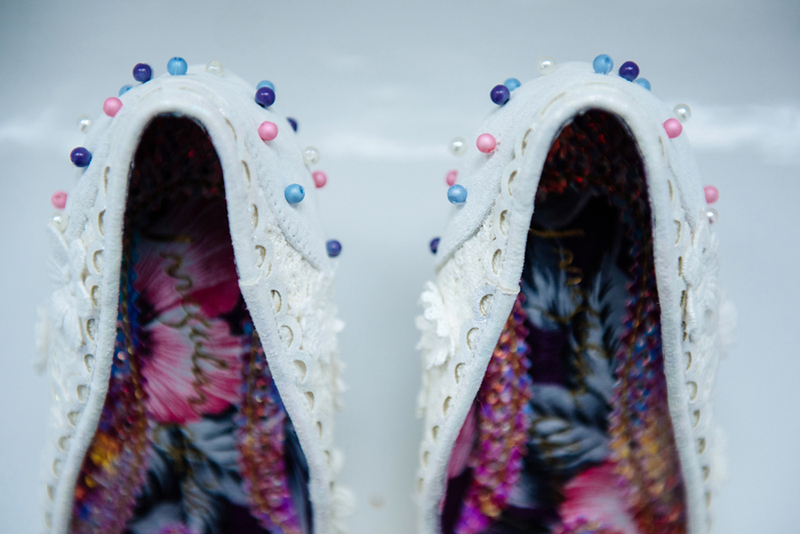 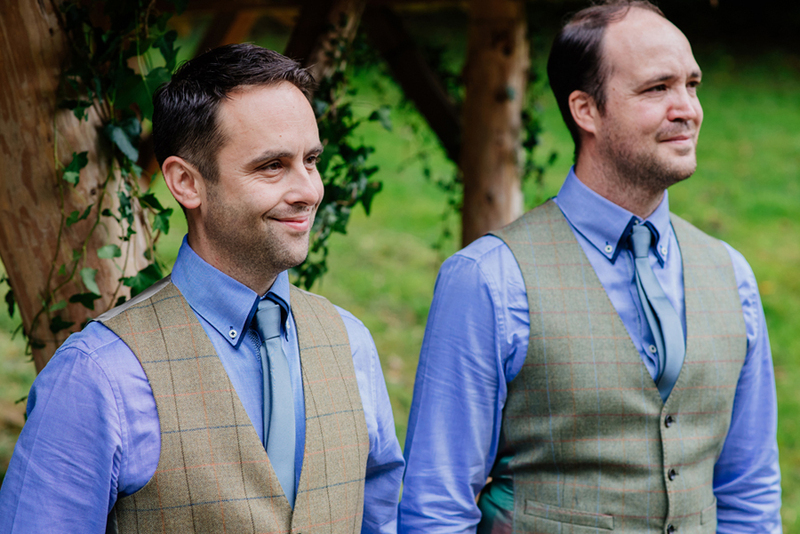 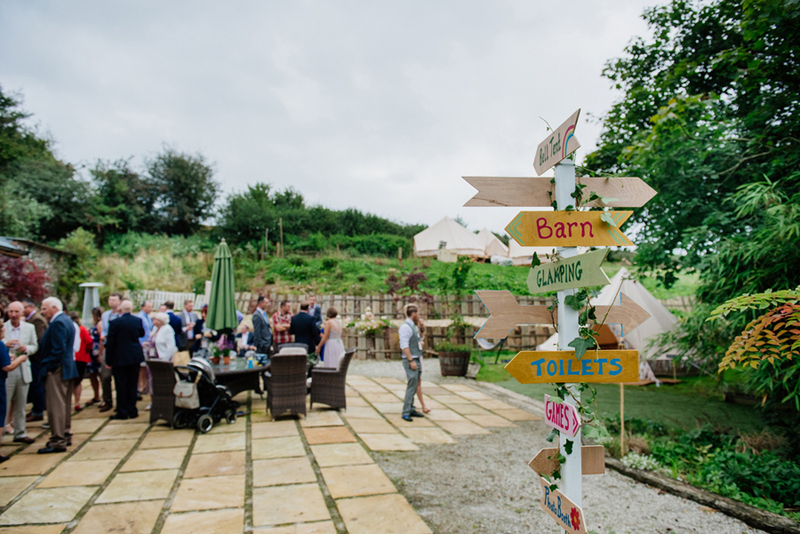 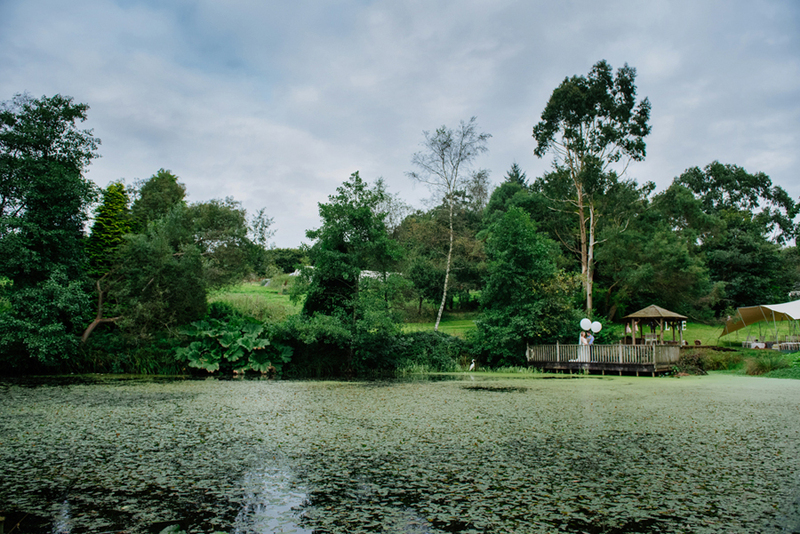 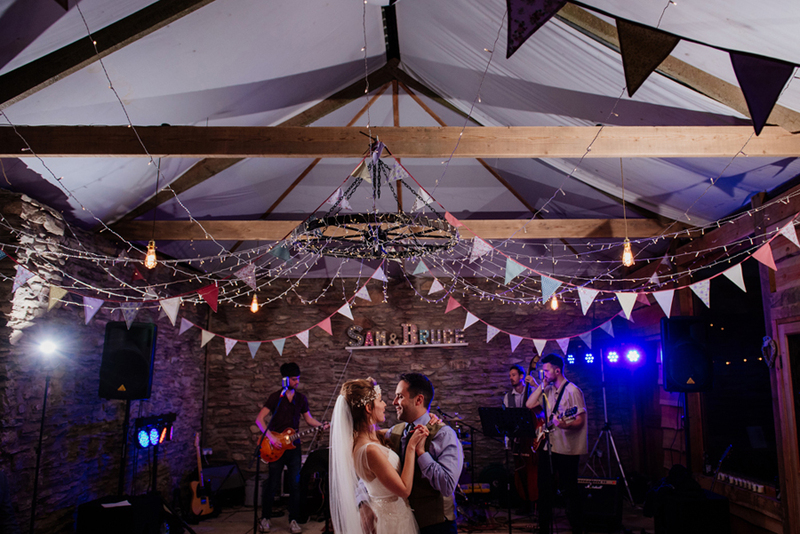 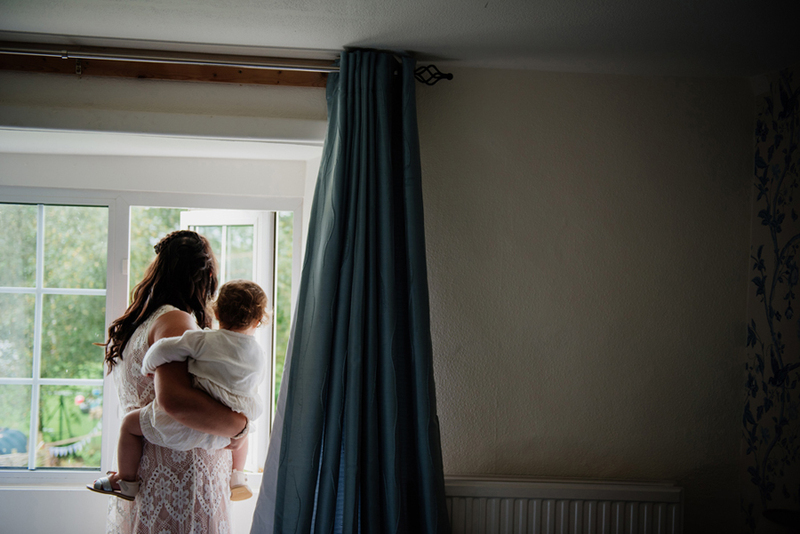 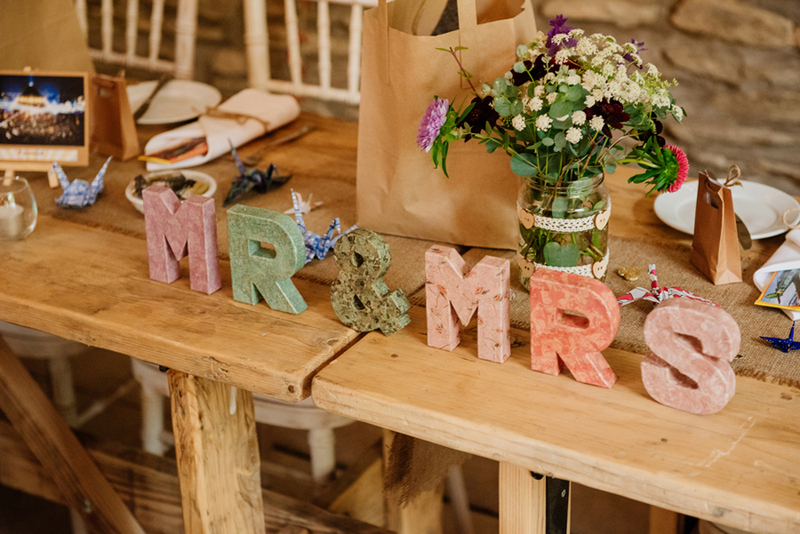 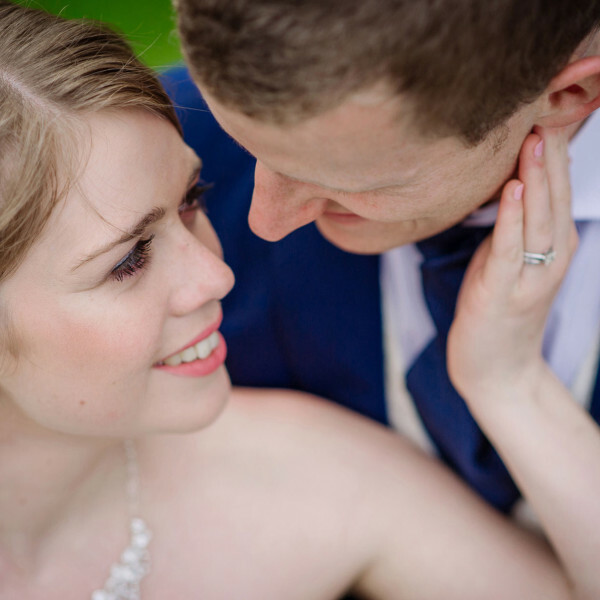 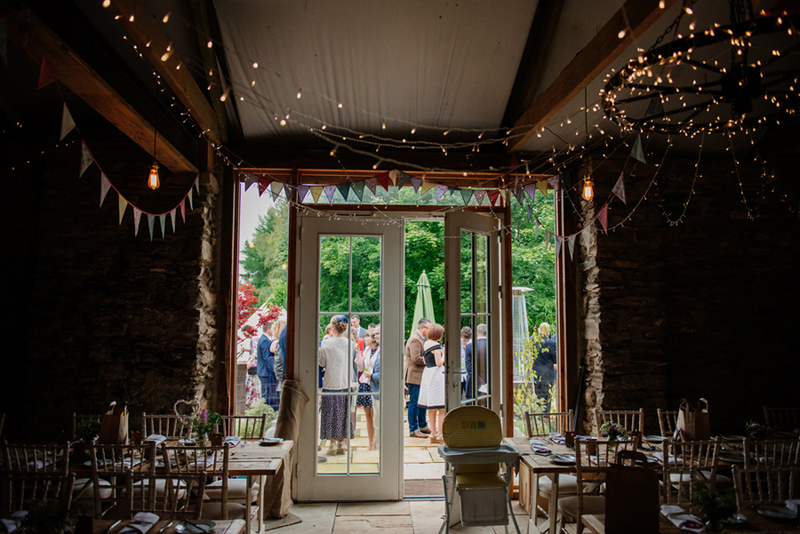 They’re keen festival goers and brought a bit of festival life to their Devon wedding. 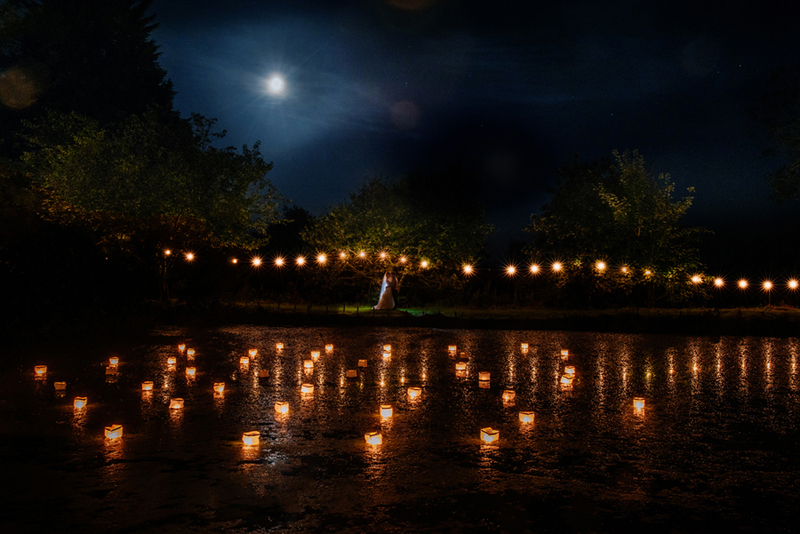 There were tepees, wellies, lights in the trees, lanterns on the lake, bubbles, space hoppers, a mariachi band and more! 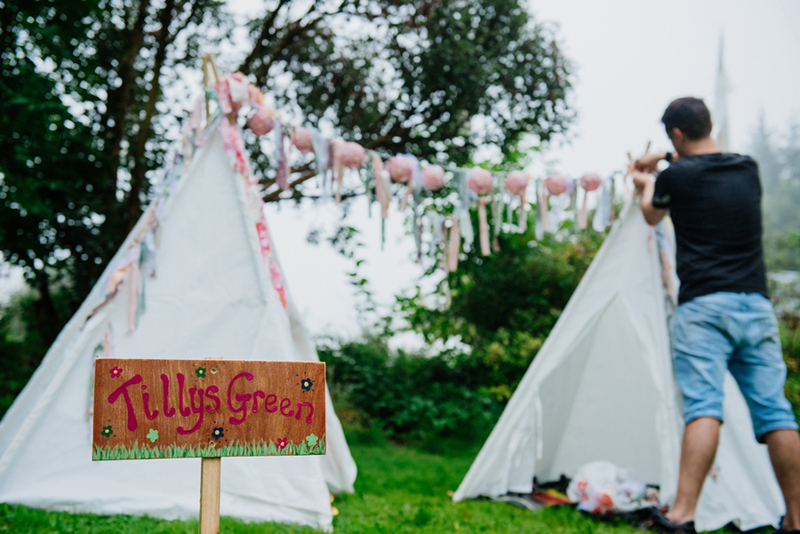 There was even a little tepee made just for their daughter which had lanterns and bunting. 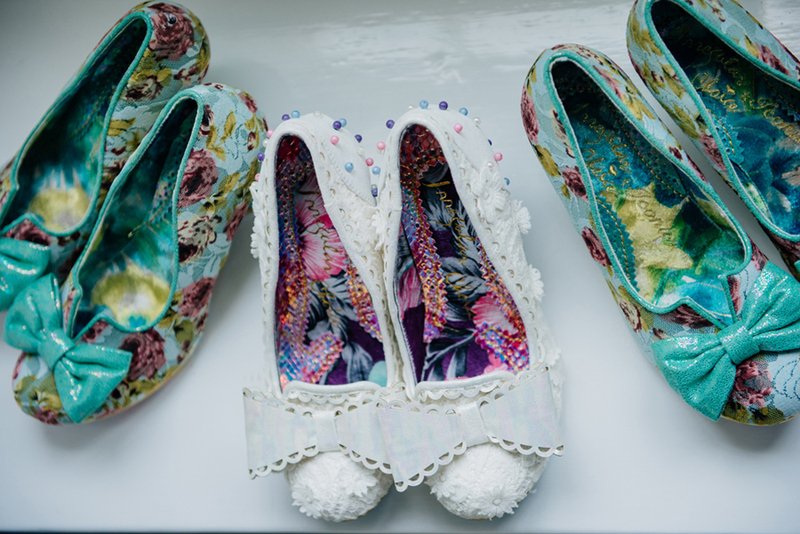 Very boho. 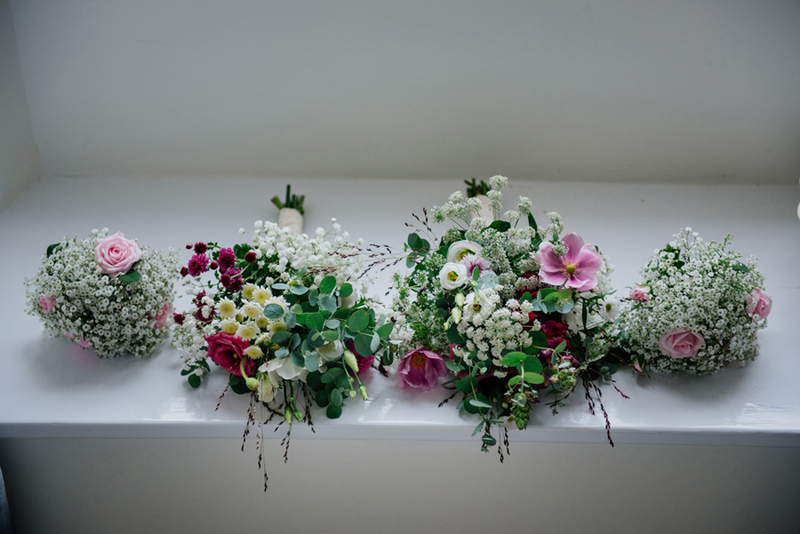 The stunning looking bouquets were made by the groom’s mum. 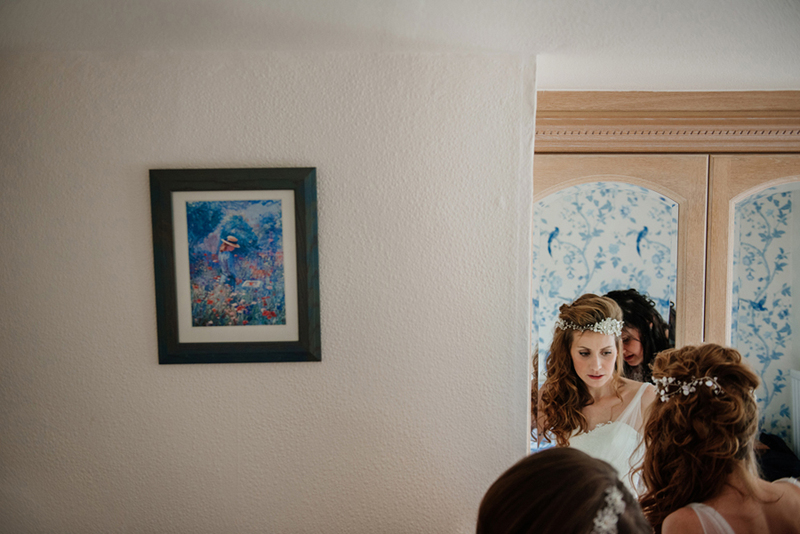 She grew the flowers and put them together, they were perfect elegant wedding flowers. 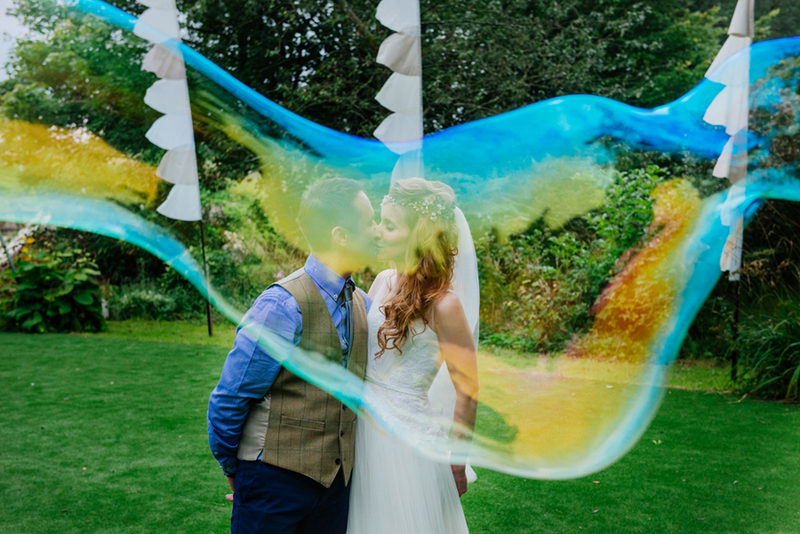 Their wedding favours were feather bowers, and stick on adhesives like butterflies and flowers. 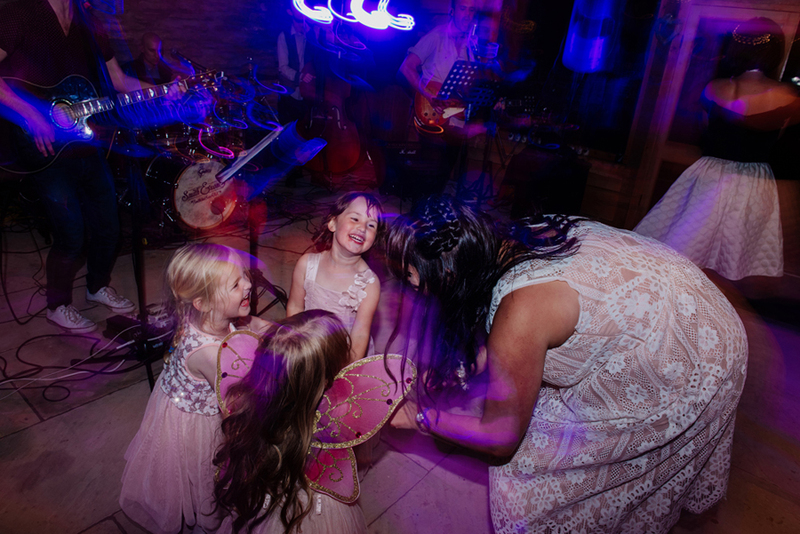 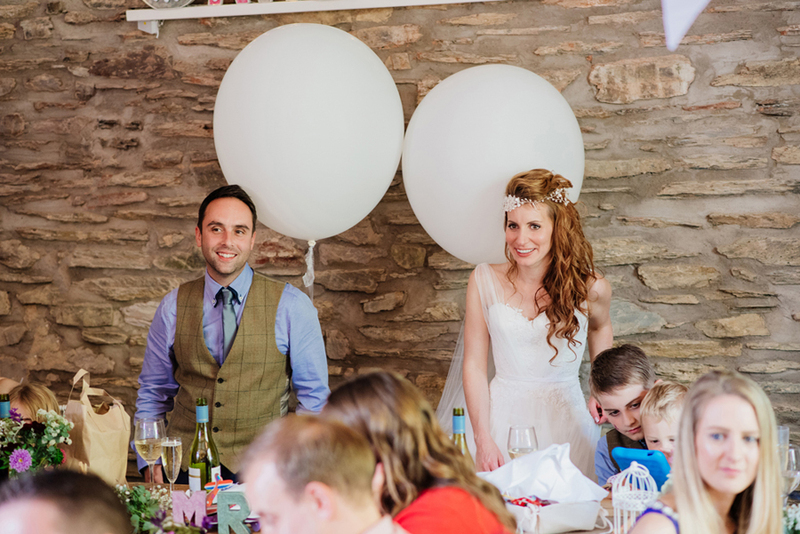 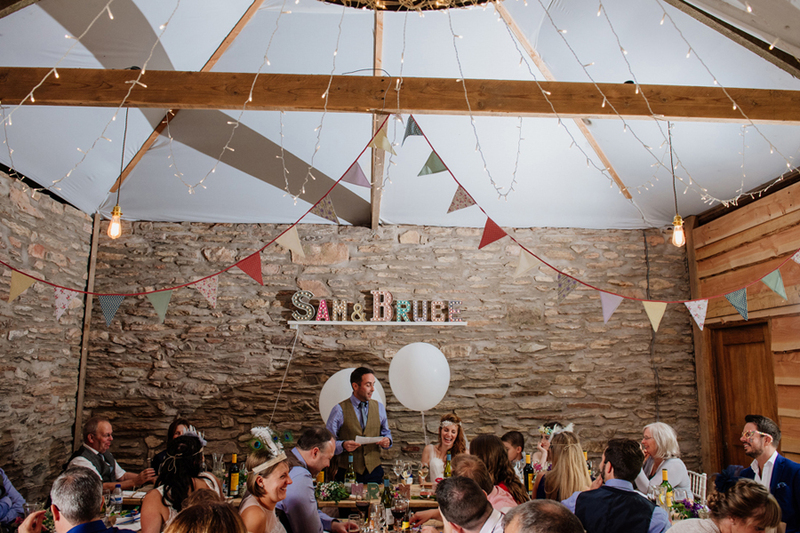 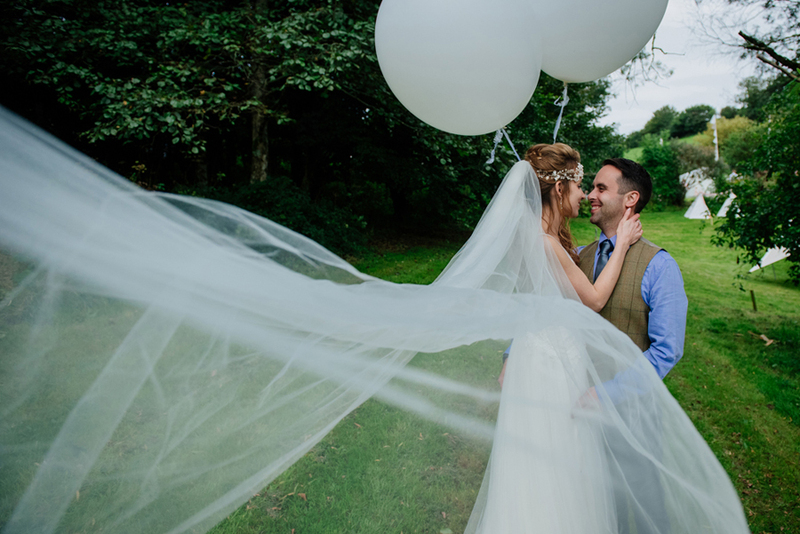 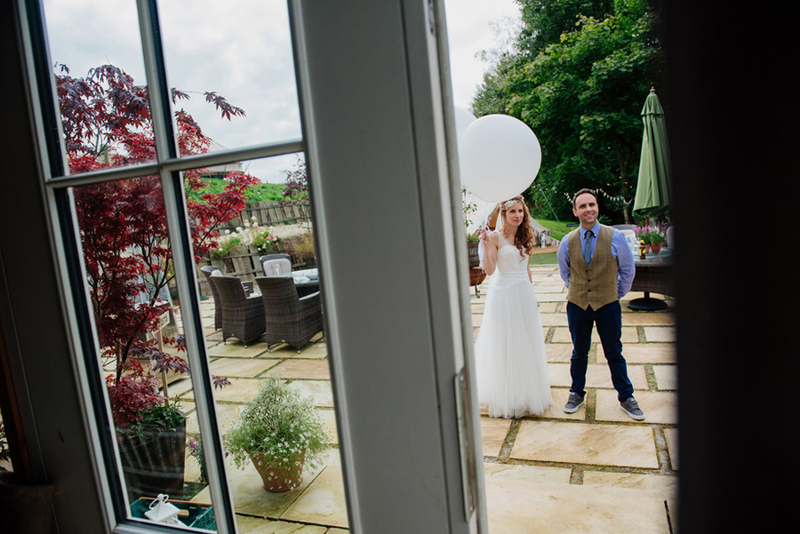 The bride’s addition of two massive helium balloons and her long light veil really added to the quirky delightful atmosphere. 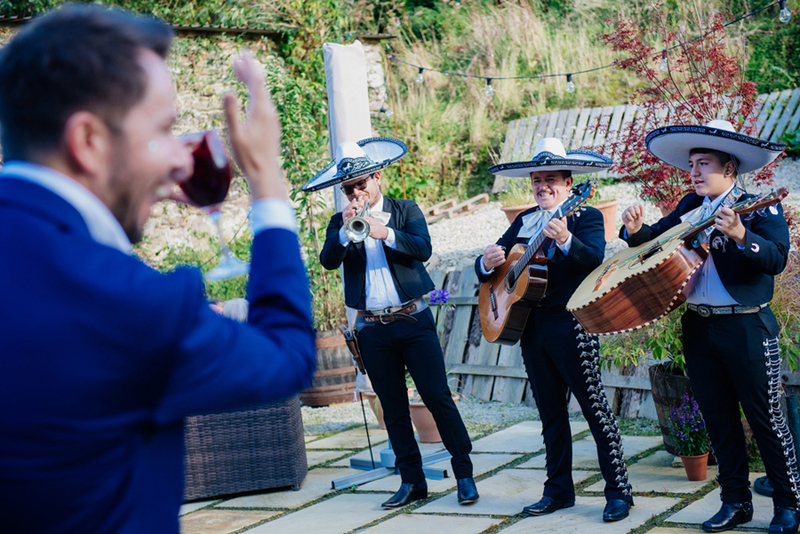 After the meal the mariachi band arrived (as a surprise to the guests!). 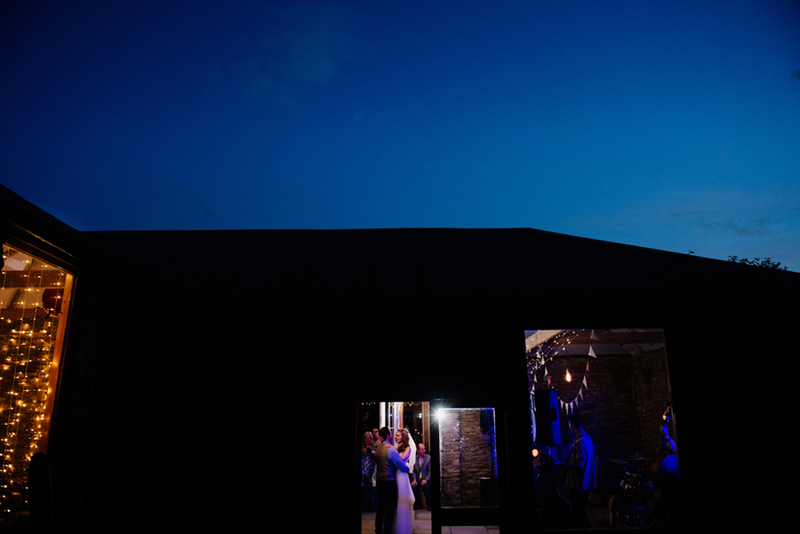 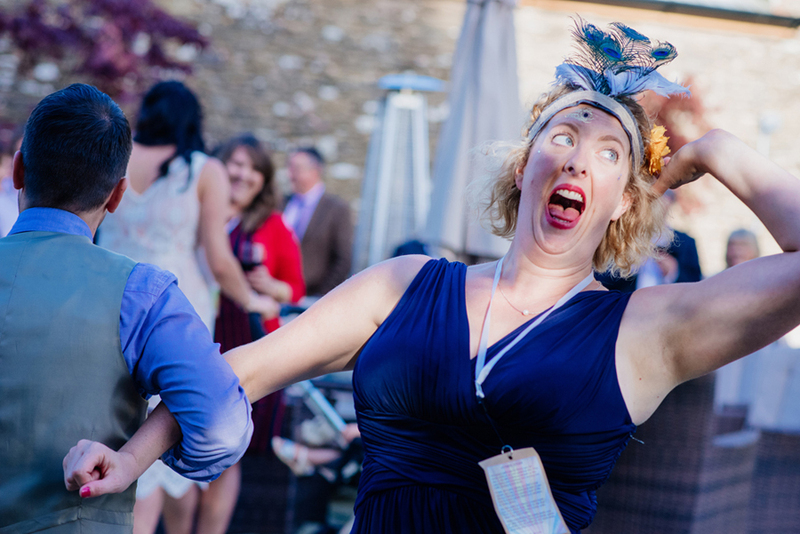 All the guests had a great time dancing around outside with their drinks, full up on yummy food and drink. 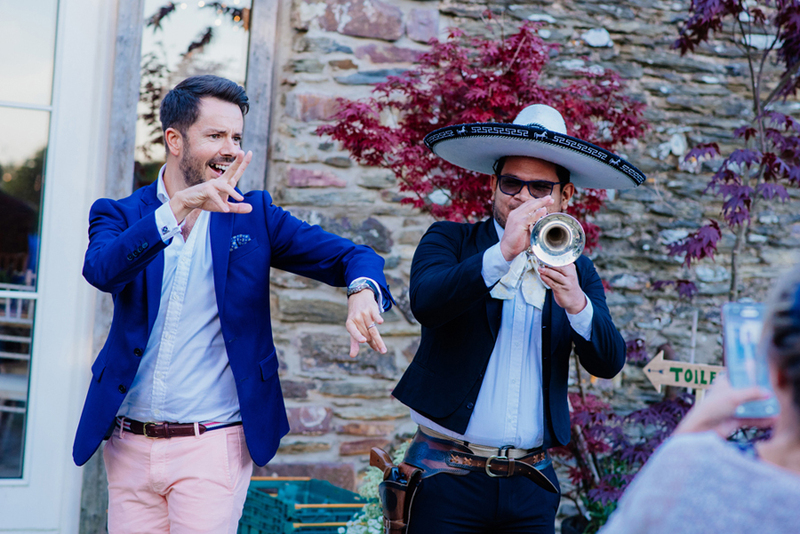 One guest stole the show with his Mexican dancing skills! 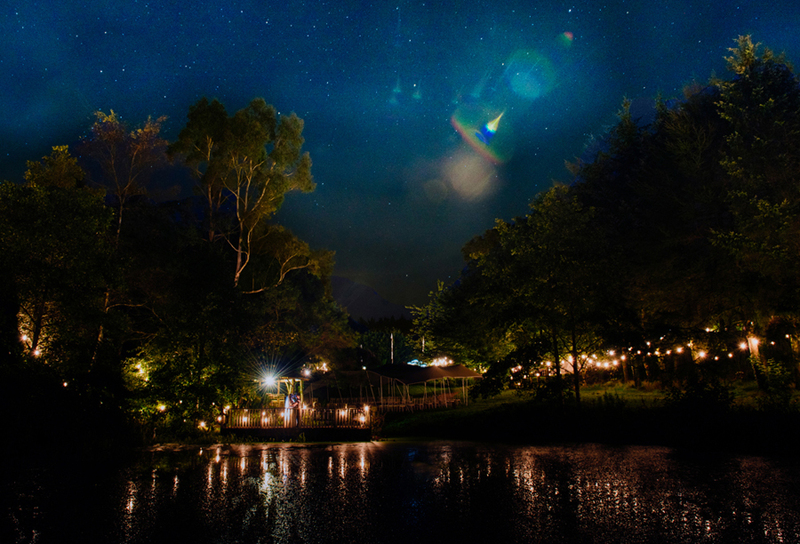 The end of the night was a night sky filled with stars, and a lake filled with lanterns. 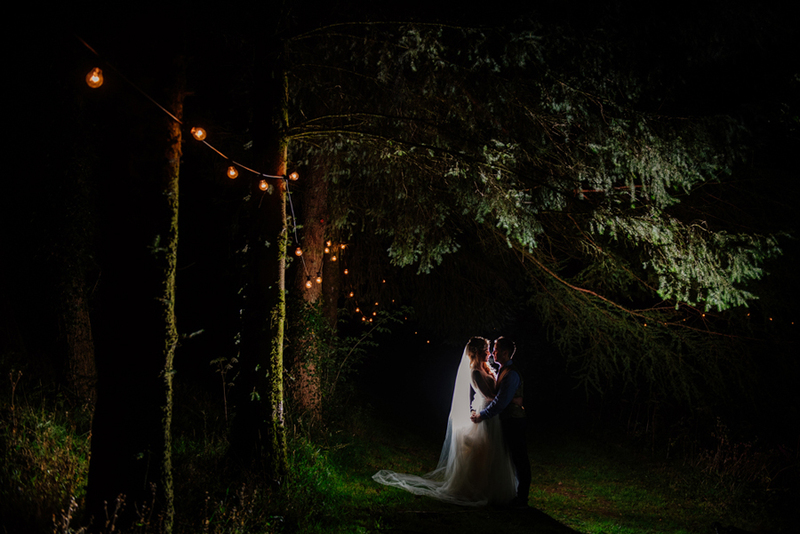 We just had to go and get some magical shots. 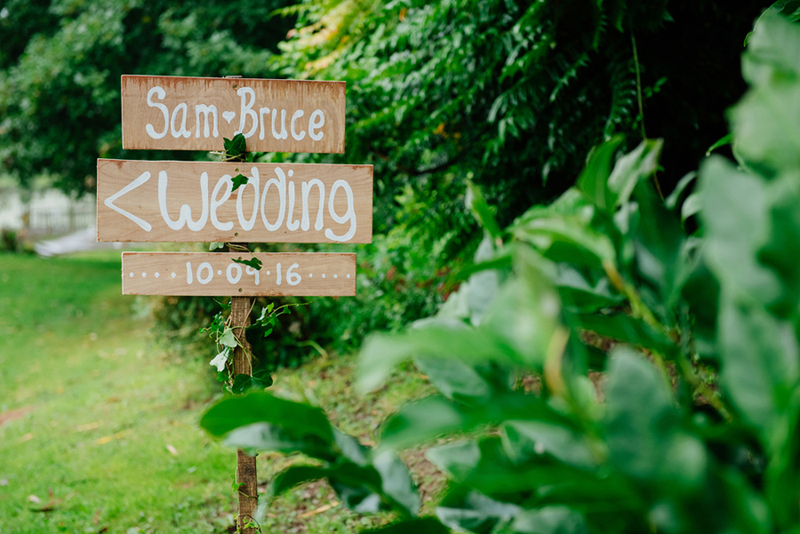 If you liked this wedding please do like/share/comment, thanks! 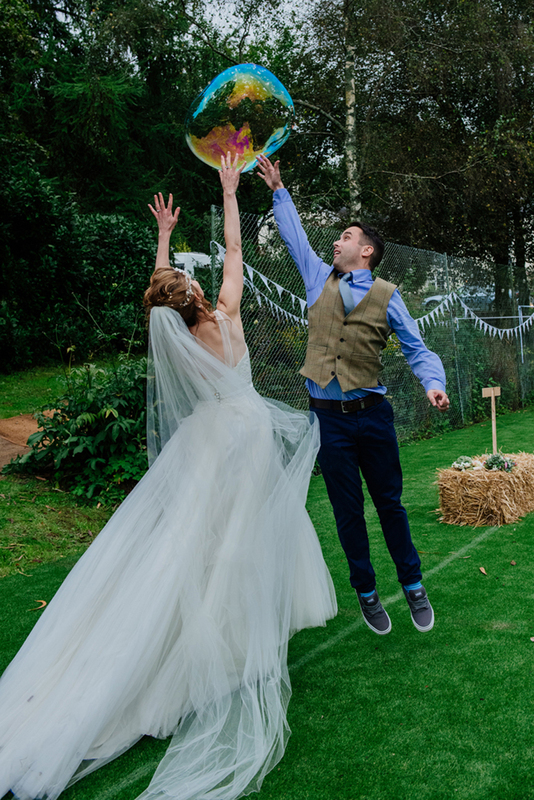 If you’re getting married, woo! 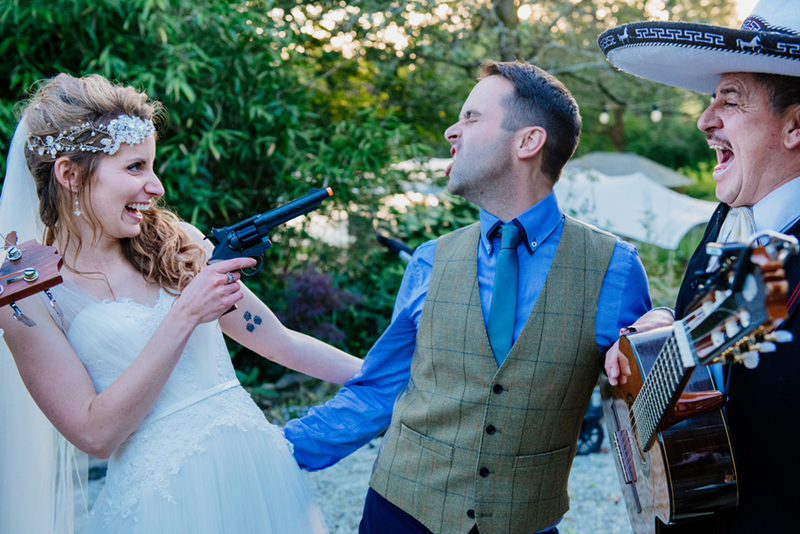 Get in touch to see if I’m available for your wedding. 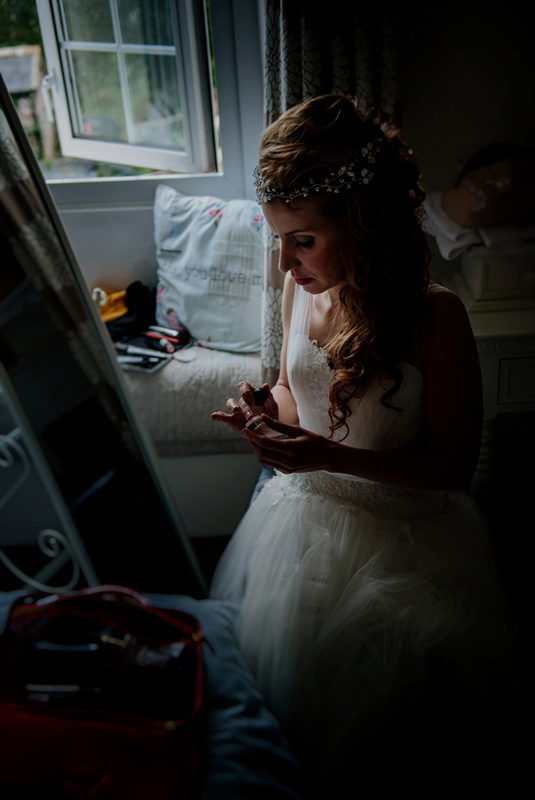 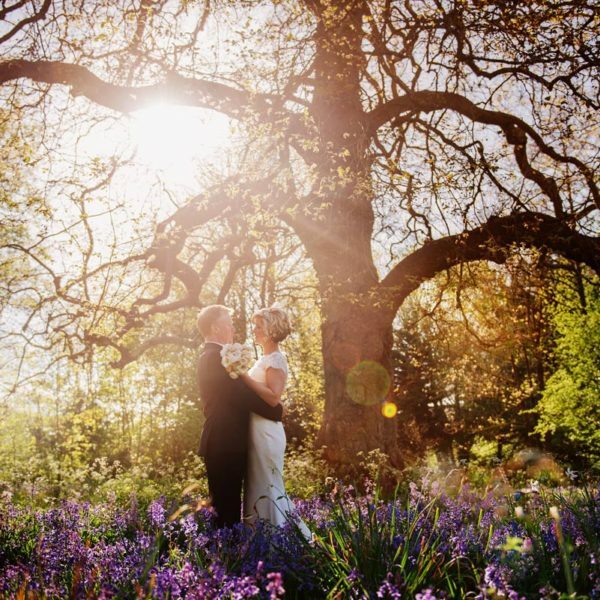 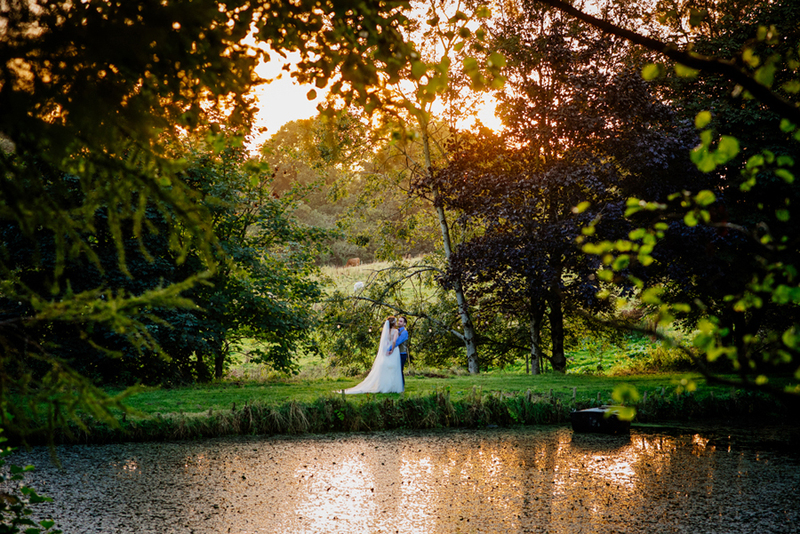 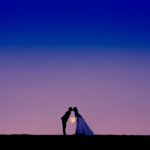 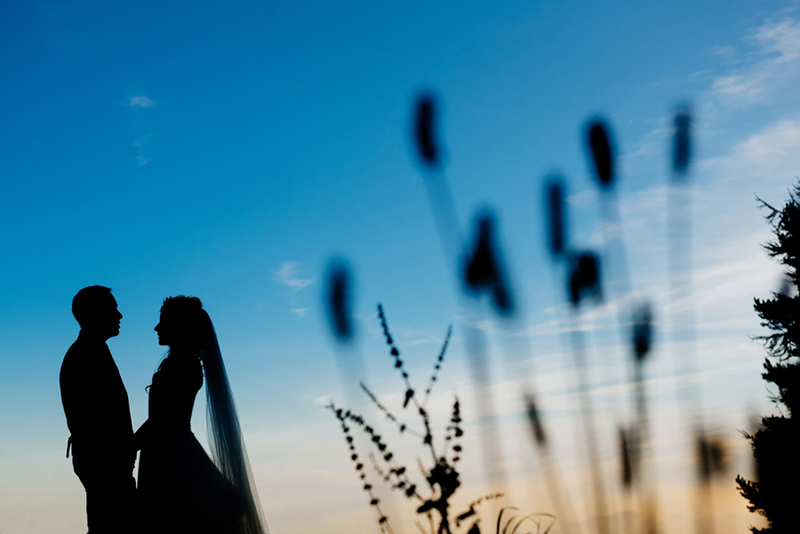 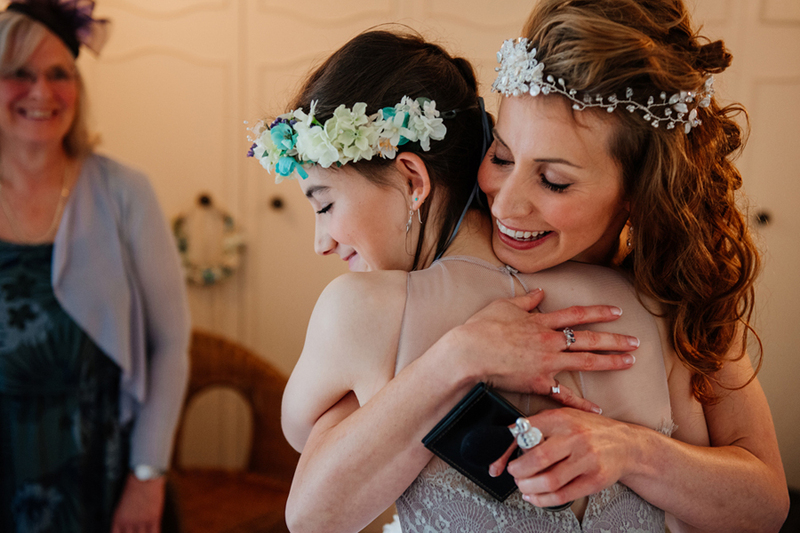 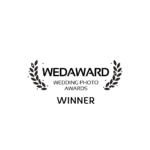 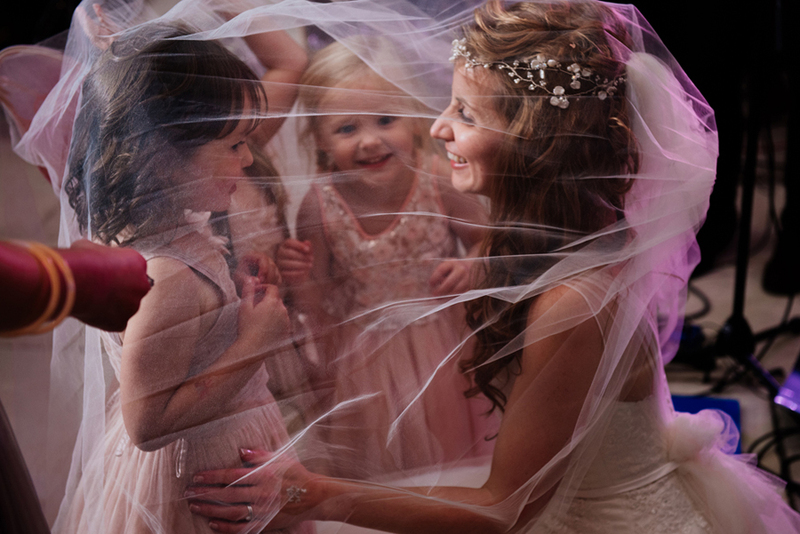 Winning Wedding Images from WedAward!